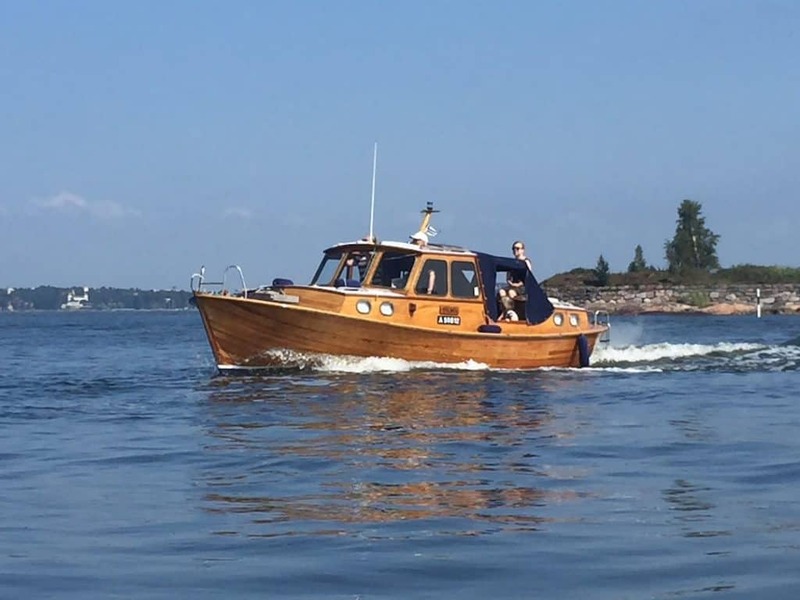 If you look at the map of Finland, you’ll see the capital city of Helsinki is located within an archipelago of protective, low-slung rocky islands. 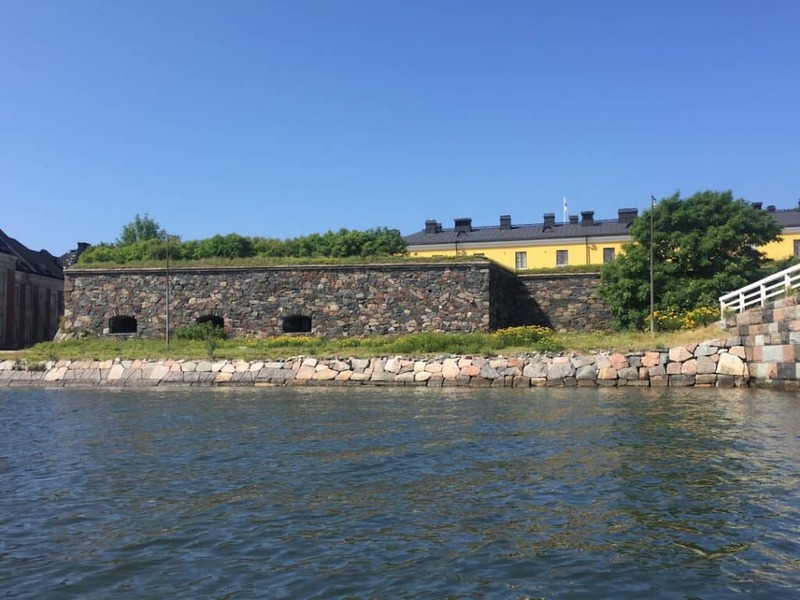 In 1748, the Swedish government began construction of a bastion, referred to as “Sveaborg” in Swedish, but called “Viapori” in Finnish, among these. This installation was intended to serve as a vanguard against Russian sea-going invaders out of St. Petersburg. The garrison protected not only the city, but the entire Swedish realm, which had previously dominated the Baltic. Commissioned by King Frederick I of Sweden, Field marshal Count Augustin Ehrensvärd, whose architectural designs were used to build the fortress and residential buildings, viewed the project as his life’s work. Ehrensvärd was twice placed in command of the entire Swedish Archipelago Fleet. His first appointment was a ten-year stint; a second appointment came when political interests favored him again, from 1770 until his death in 1772. His low-profile armament buildings followed island topography, camouflaging their presence. This was a unique departure from traditional military architecture at the time. 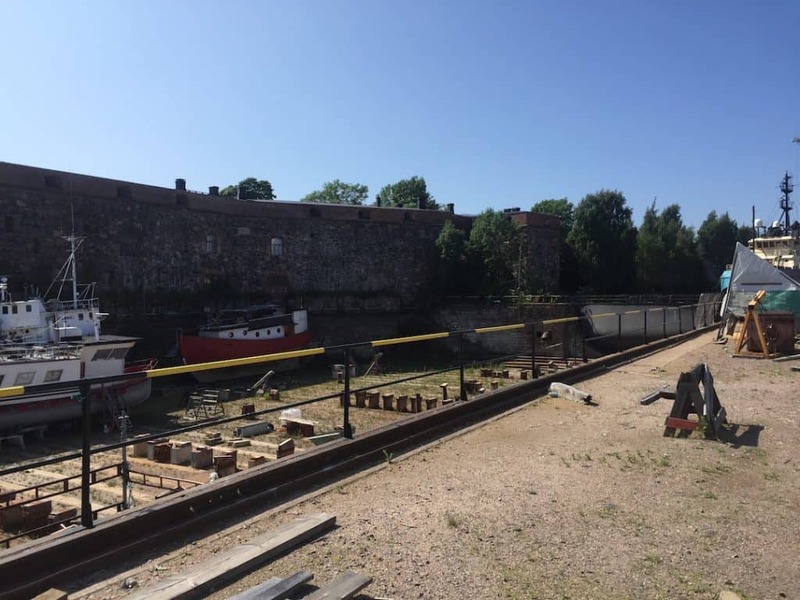 The dry dock in the center of the fortress was state of the art. 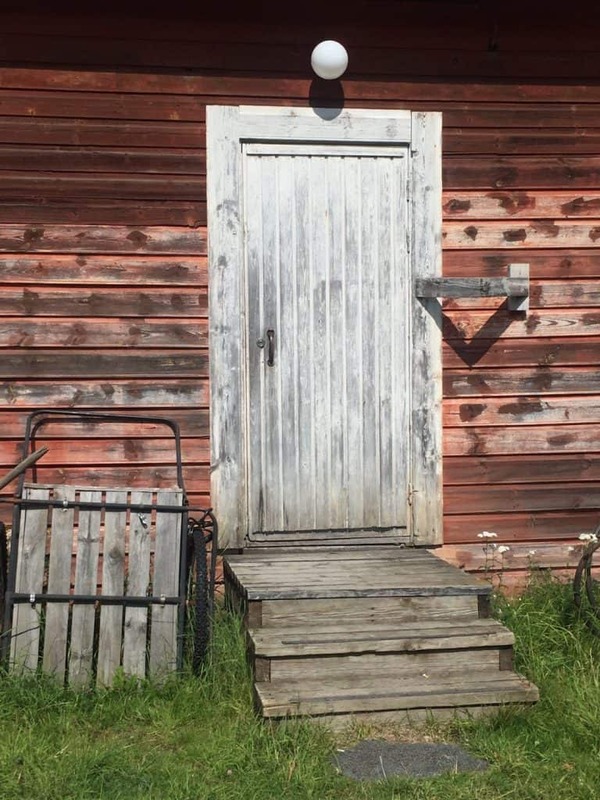 As a member of the Royal Swedish Academy of Sciences, Ehrensvärd’s interests in painting, education, psychology and botany set the stage for Viapori to become a social and cultural center. Worldly military officers adopted the French language, customs, and etiquette as part of the Suomenlinna social milieu. Civil servants and merchants also made their homes on the island. Many of the higher ranking officers ensconced their families in grander Helsinki residences or prestigious rural estates. 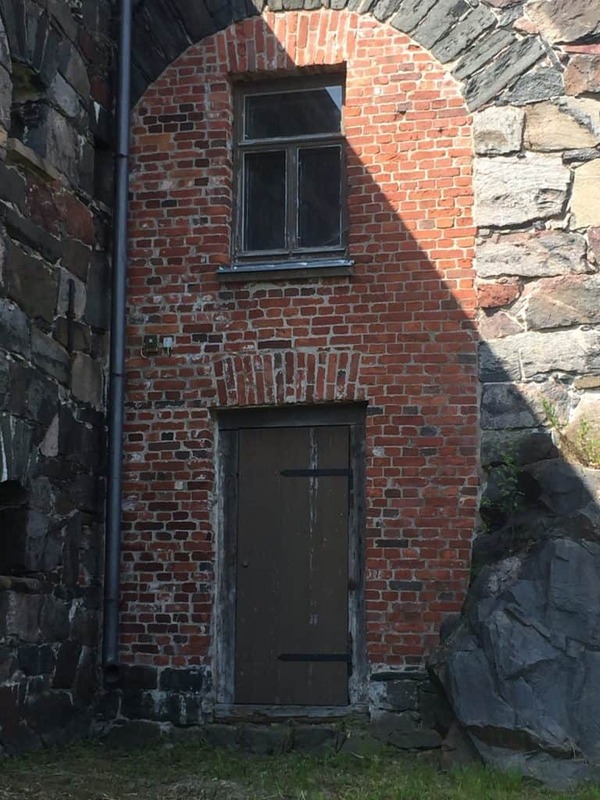 By 1771, there was a multi-story building called Noah’s Ark containing flats for officers’ families on Suomenlinna, one of the first of its kind in Finland. Other buildings were pressed into use as residences, including those attached to the fortifications, while housing remained in short supply. As part of a cooperative agreement between Tsar Alexander I and Napoleon, Russia attacked and then conquered Helsinki. Sveaborg subsequently surrendered in 1808 with Finland becoming a grand duchy of the Russian Empire. 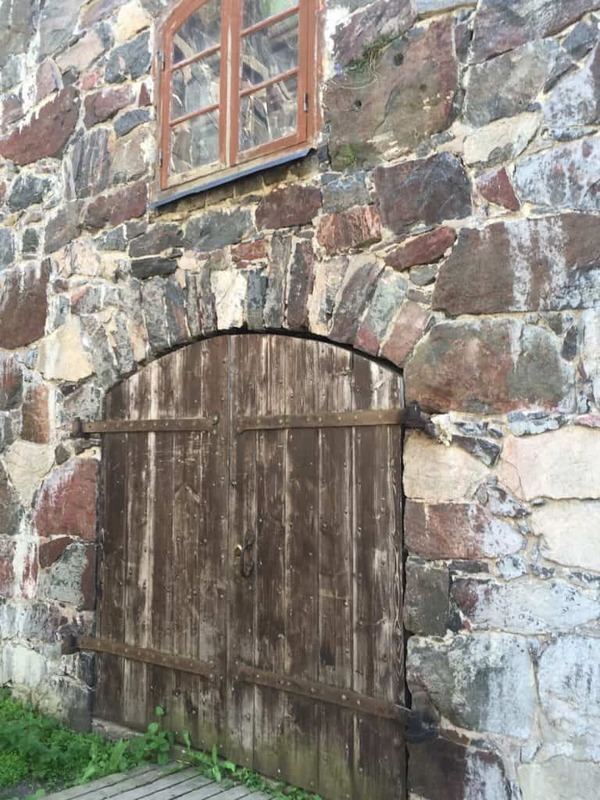 During the Russian era, the population of Suomenlinna was greater than that of Helsinki. Civilian residents, soldiers, and prisoners made up the mix. The community was large enough to support both Eastern Orthodox and Lutheran religious congregations. There were retail stores, religious schools, a pharmacy and even a brewery. While low-ranking soldiers lived in simple barracks, officers and their families were housed in large apartments and stately wooden villas. Smaller wooden houses and gardens rounded out the collection of buildings. 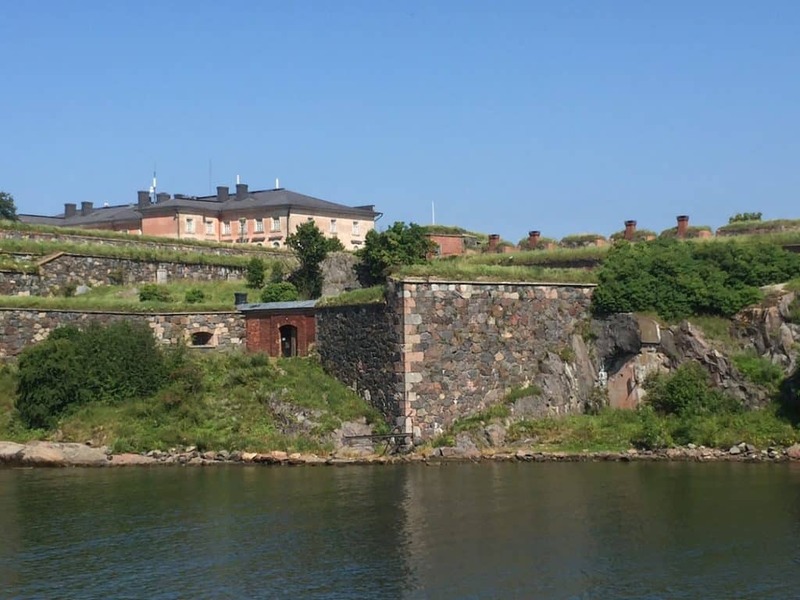 Suomenlinna successfully resisted allied attacks during the Crimean War in the mid-19th century. After its conclusion, restoration and subsequent new construction dubbed “Peter the Great’s naval fortification” became part of the buildup to World War I. With Finland’s independence in 1918, the Russian garrison was replaced with Finnish soldiers and a prisoner of war camp. Conditions deteriorated as the Civil War progressed and really didn’t improve much until the latter part of the 20th century. Shipbuilding remained the main industry, with residential buildings being repaired to house dock workers. With the onset of ferry services in the early 1950s, renewed interest in the fortress as a tourist destination necessitated a planning proposal and architecture competition. The plan, finalized between 1972-74, called for renovation, preservation and establishing cultural components. 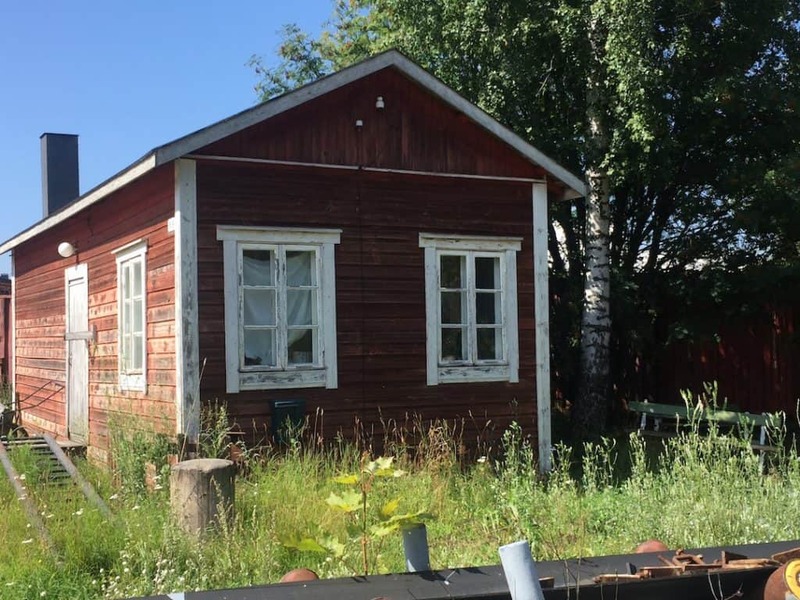 While not all aspects of the plan were eventually implemented, the Governing Body of Suomenlinna remains under the auspices of Finland’s Ministry of Education and Culture. The Consulate of Djibouti is (inexplicably?) 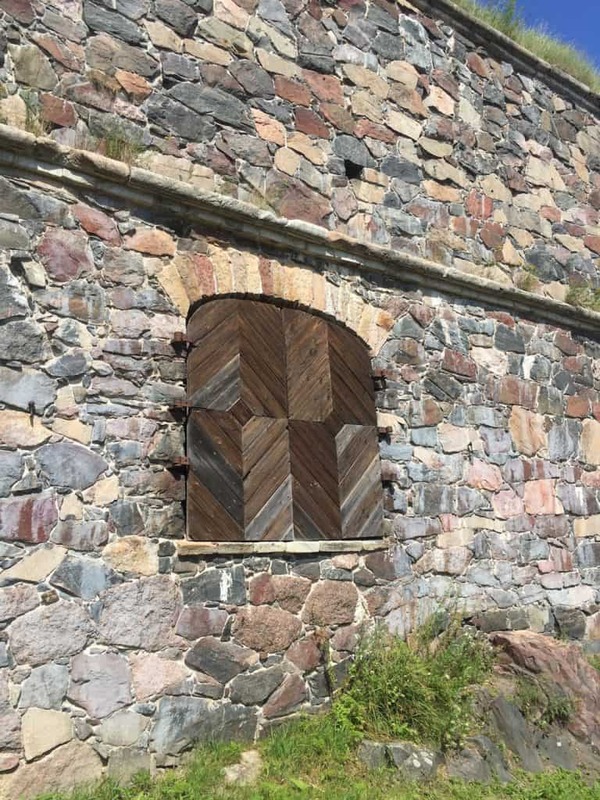 located in this building on Suomenlinna. Note the brass doorplate. 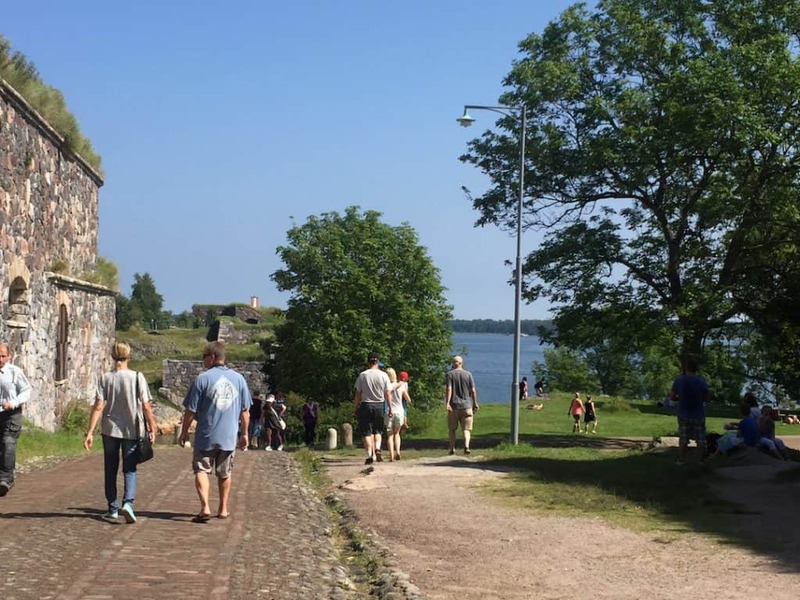 Tips and Practicalities: Suomenlinna is a popular destination for summer visitors. 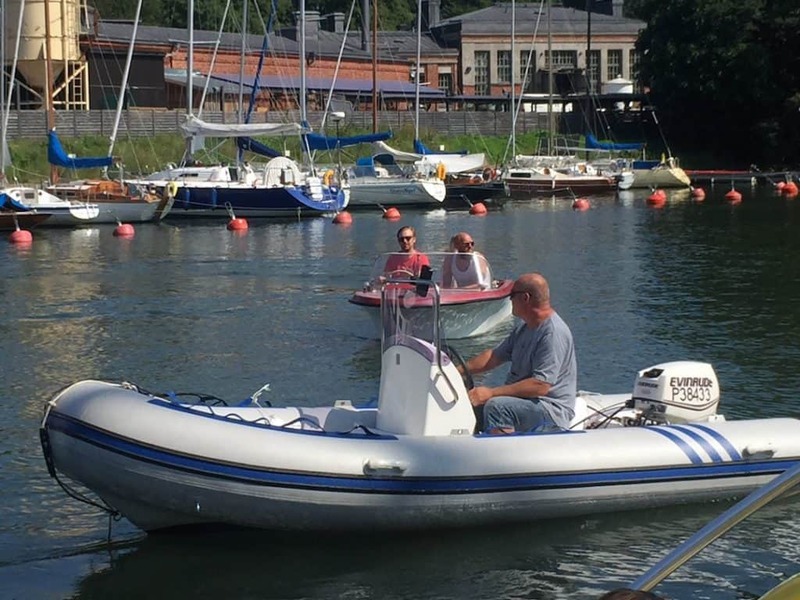 On the beautiful day we visited, business along the waterfront was brisk at several dockside watering holes. While there is still a military presence on the island, it is educational in nature: about 250 students attend the Naval Academy on site. 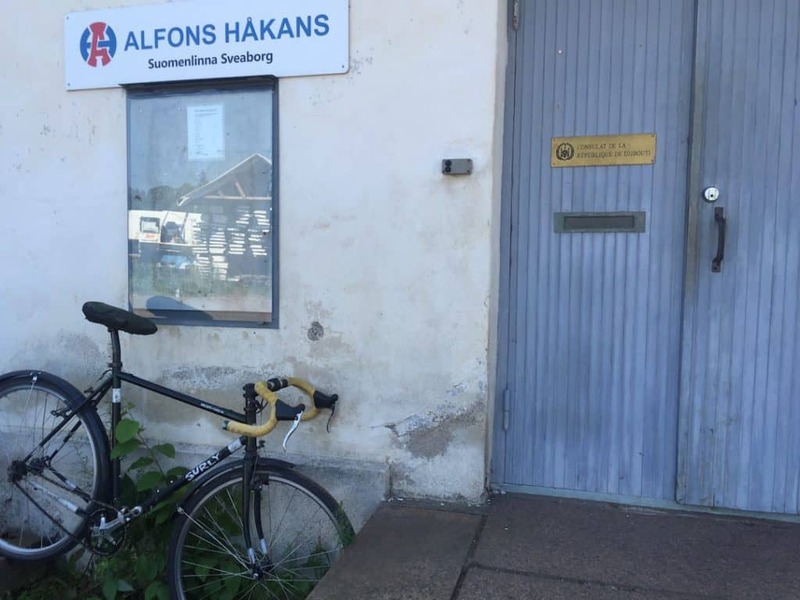 The island’s current population is about 800, who live in its over 350 apartments and have a library, grocery store, and a primary school. Many of the buildings being used today are original. 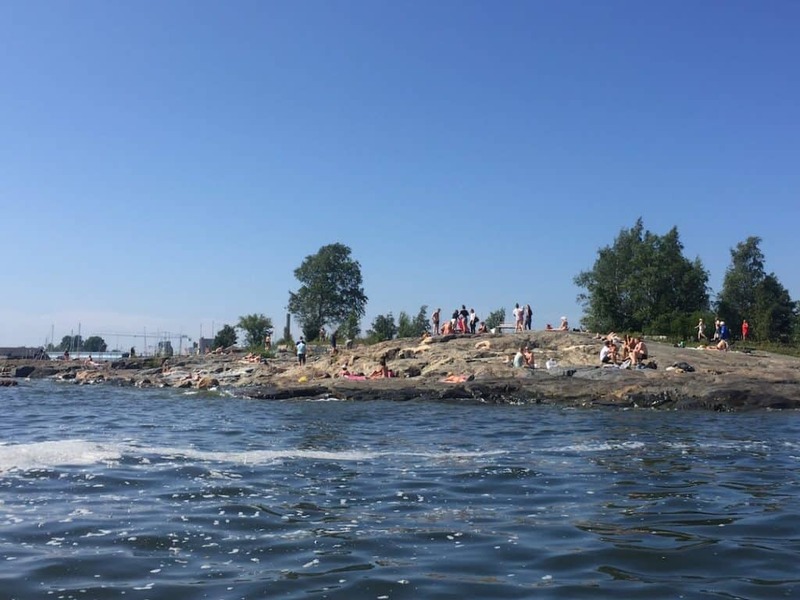 As Suomenlinna is a borough of Helsinki proper, there is no admission fee. Guided tours are available, and there are six museums on site. 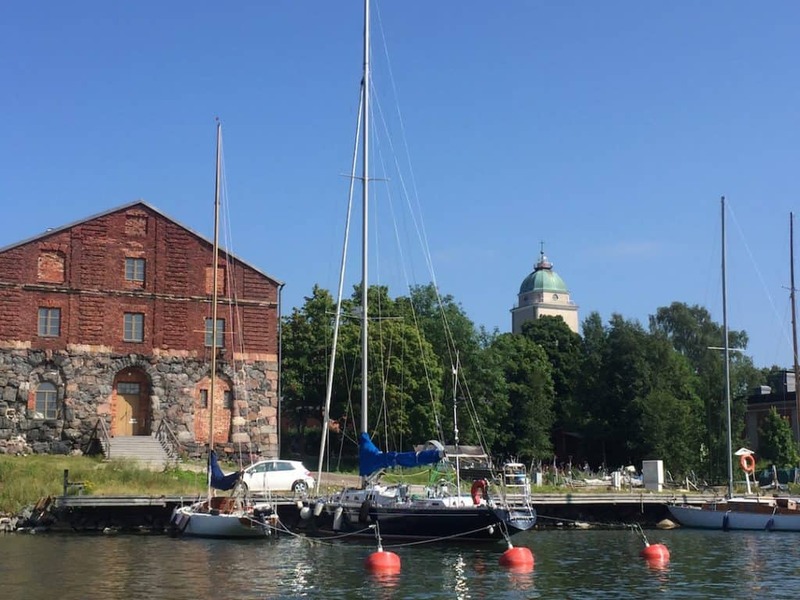 If you’re fortunate, as we were, to know someone with a boat, you can dock at the guest harbor in the middle of Suomenlinna. Ferry service departs from Helsinki Market Square year round, and during the summer, there is water bus service. 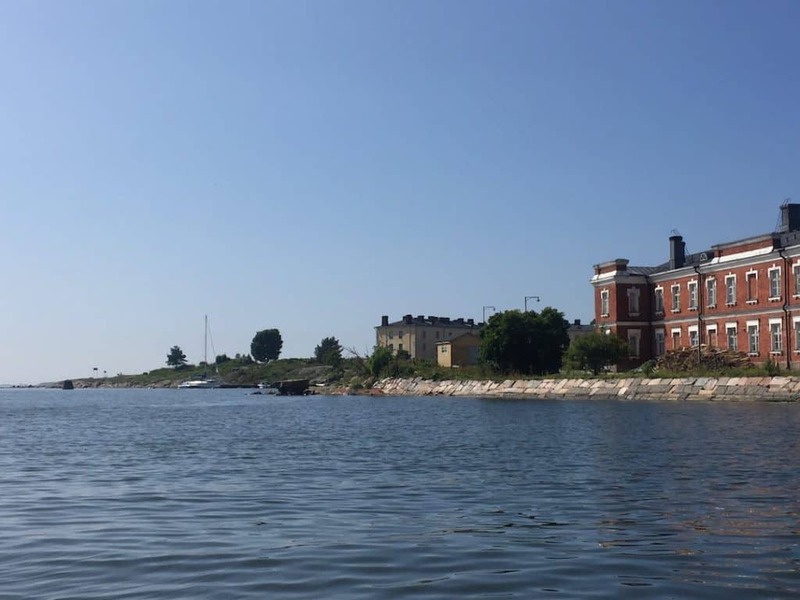 The brief trip over to Suomenlinna provides outstanding views of Helsinki and its islands. 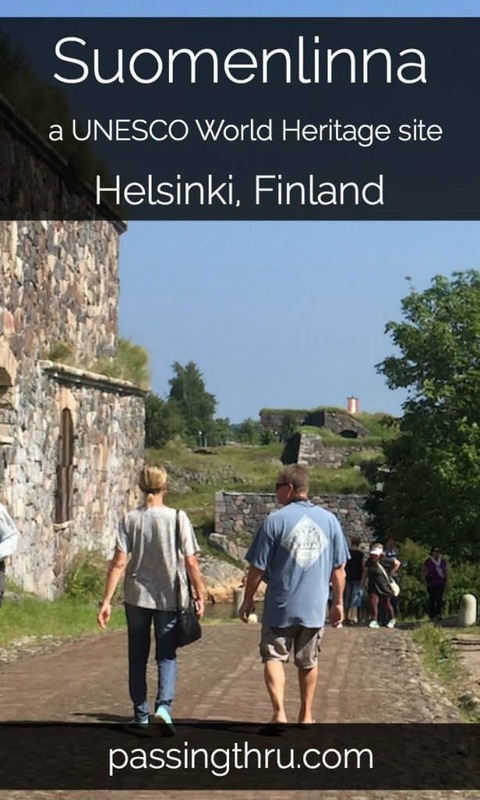 We visited Helsinki, but completely missed Suomenlinna. Next time.